Legrand has introduced its new Super LED Satellite which is designed to illuminate from high ceilings and large areas in emergency situations. Super LED Satellite illuminates a large area using a single Chip On Board (COB) LED. In order to do this, a double refractive lens was developed which provides an ultra-wide optical distribution and is ideal for applications like parking lots, exhibition centres, industrial manufacturing, warehousing and most general installations with high ceilings. 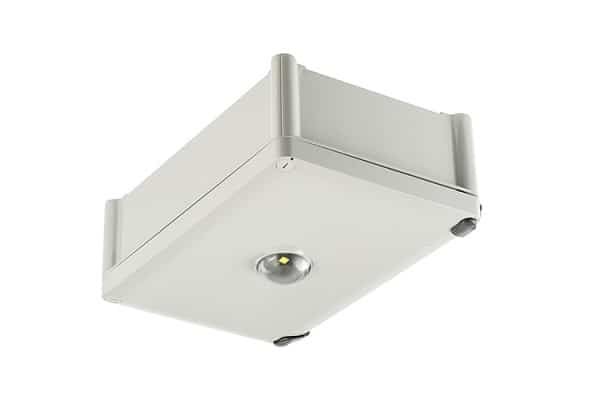 Key features include IP65 weatherproof, IK07 impact rating, D100 classification to minimise installation costs, flexible installation options (surface, wall bracket, wire or rod suspension), and a choice of single point or wireless Axiom monitored versions. As a result, the Super LED Satellite has been nominated for the NSW IES Luminaire Design Award, which will be announced on 3 November, 2017. For more information on this product and others from Legrand, please visit www.legrand.com.au.